The most incredible photos of Mars yet have come back from a European orbiter. Check out two articles in England's Daily Mail. Incredible Pictures of Mars: They Look Suprisingly Like Some Parts of Earth. Dramatic New Images Show that Mars Probe Landed by Six-Mile Wide Crater. 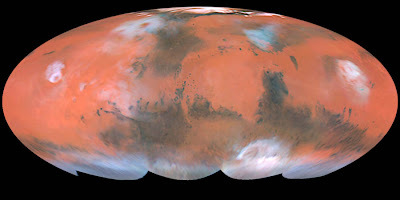 And in a related story, NASA Spacecraft Shows Diverse, Wet Environments on Ancient Mars from NASA. All of this goes to show that we live in exciting times. The Solar System is waiting for us. This century may see us become a spacefaring civilization. These pictures gives us a taste of what awaits!